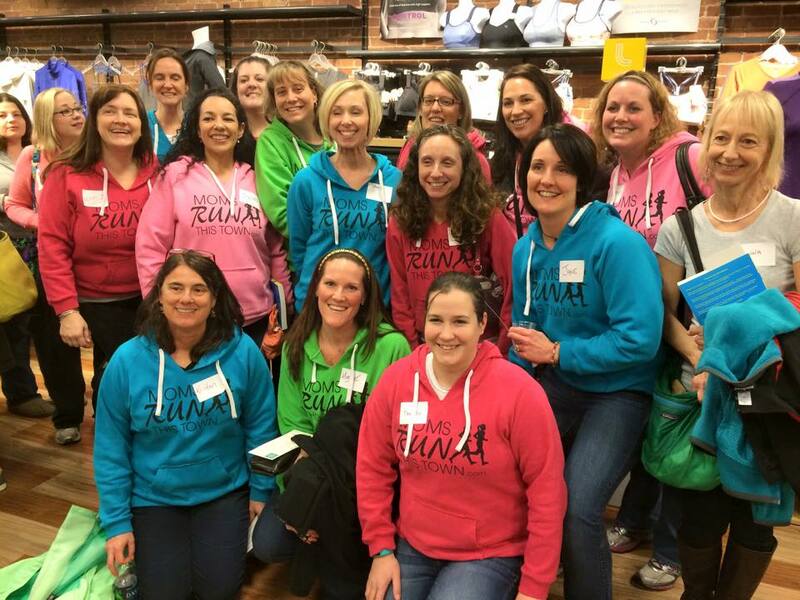 When it was announced that Dimity and SBS would be making their way to Massachusetts for their book tour with their latest book: Tales from Another Mother Runner the excitement from our Greater Manchester Moms Run this Town community was huge! 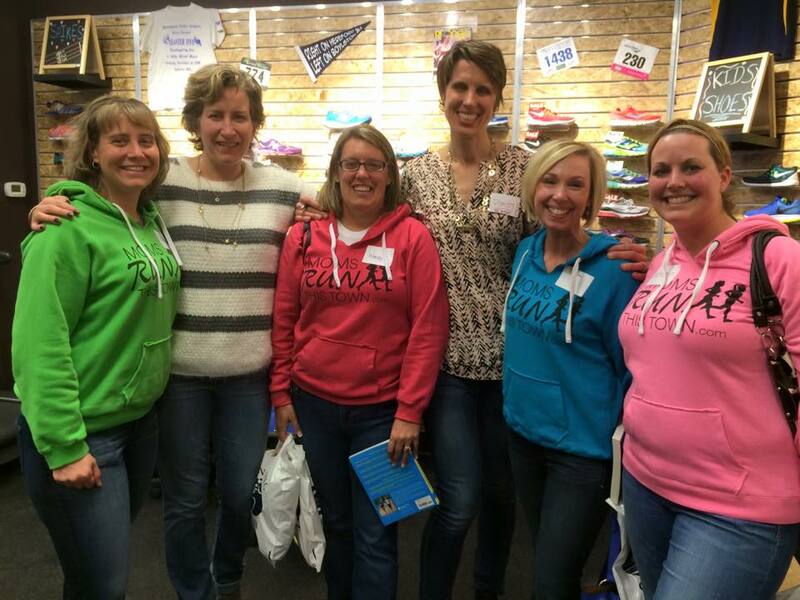 We had a large group attend this book tour eager to get their books signed along with photos taken with the amazing women who built the Another Mother Runner community. 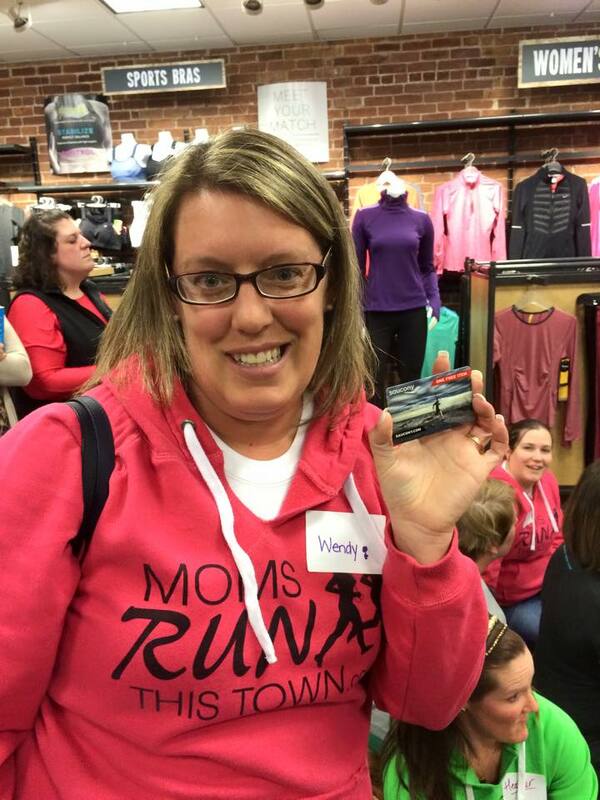 When we first arrived at Greater Boston Running Company in Andover, MA we were given name tags, a scavenger hunt paper, and a raffle ticket. The table was covered with all of these amazing products they would later pull numbers for. 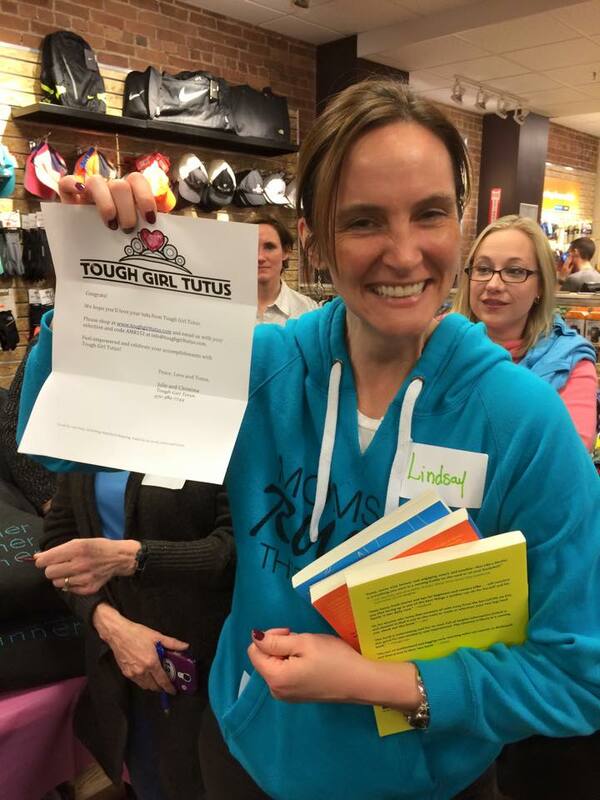 I was definitely drooling over the Saucony Capris. So many different kinds of women filled the store. Young, middle age, older, mothers with their babies in tow, or mothers with growing babies in their bellies. We milled around, took selfies, group photos, grabbed a small glass of wine and maybe a brownie or two and stepped into line to wait for a book signing from Dimity or SBS. 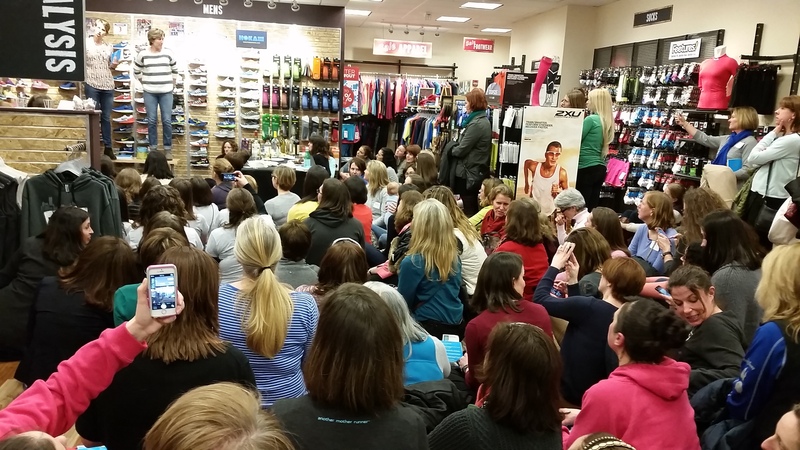 At some point, maybe an hour and a half into it, we were called over to one portion of the store where Dimity talked about the book, the amazing women who were there on this Monday night, and began to read about a Naked Race. We all laughed and nodded along with her as she read. Then they pulled some tickets and a few of our members won some really cool prizes! Another reading was done by Adrienne Martini about a 10 mile run and we could relate as she talked about the different mile markers and inner thoughts one might have during the run. 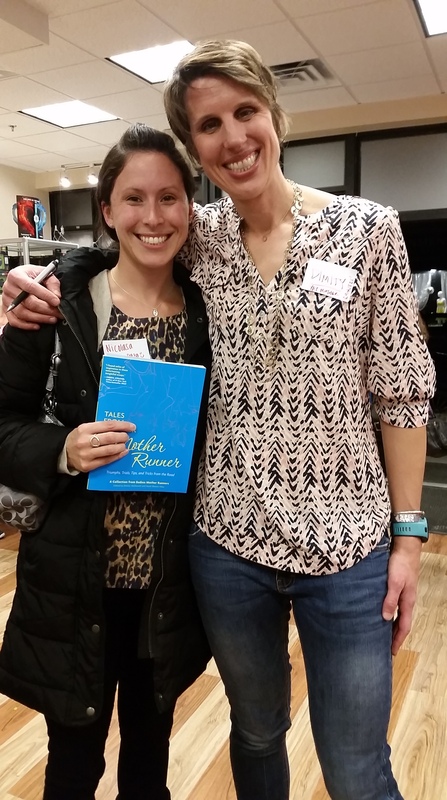 The last portion of her reading was funny as she shared how she imagined her post run time would be spent… sipping chocolate milk, foam rolling and taking a nice how shower when in reality she had to shower super fast and take her daughter to an event they were already late for. More numbers were drawn for raffle items after the reading and a few more of our members won awesome things! SBS read from a page about Joy and they were bits and pieces from other people’s writings. 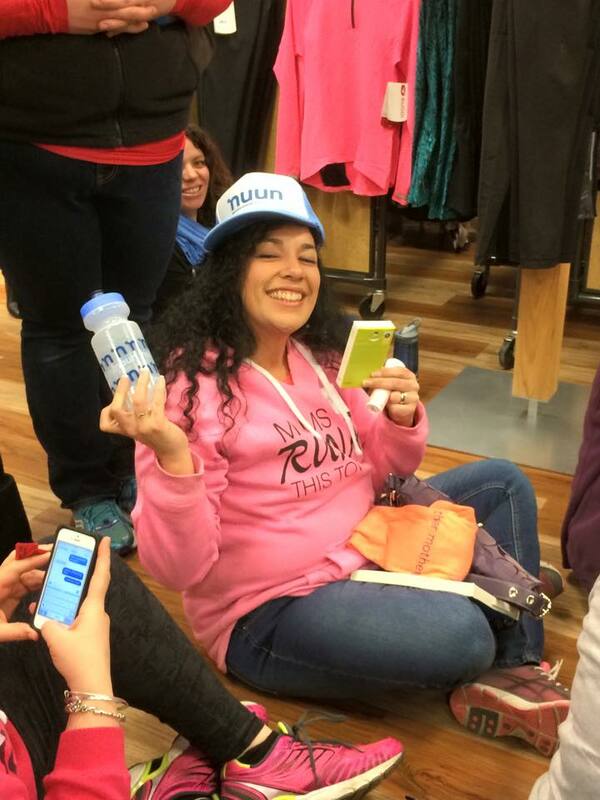 A few more giveaway items were handed out and then a huge round of applause filled the running store as we thanked each other for being there. 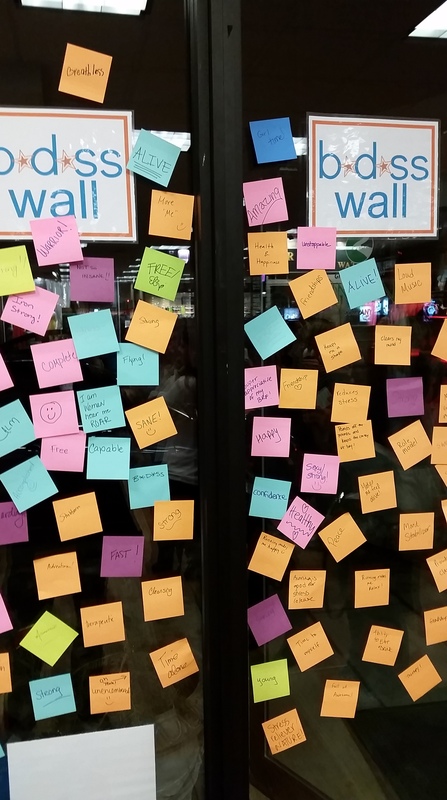 One word on how running makes you feel. 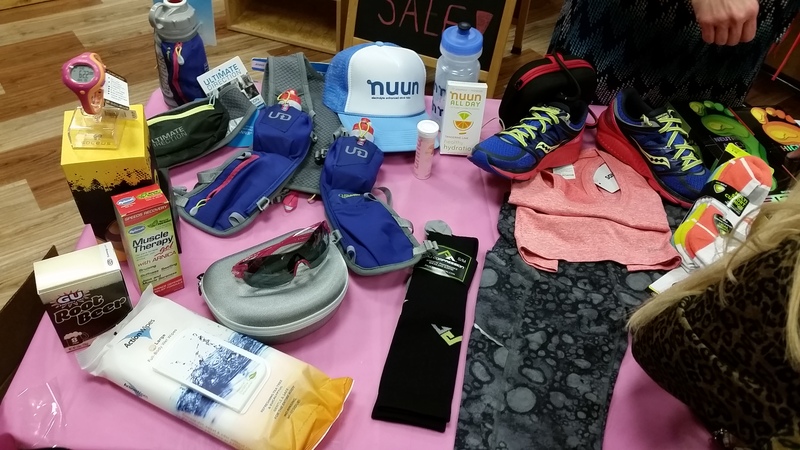 Before we left we were handed these wonderful swag bags filled with SofSole Socks, Nuun All Day, Nuun Hydration, Hyland’s Calm Forte sleep aid and Hyland’s leg cramp help, GU Chomps and GU Energy Gel. 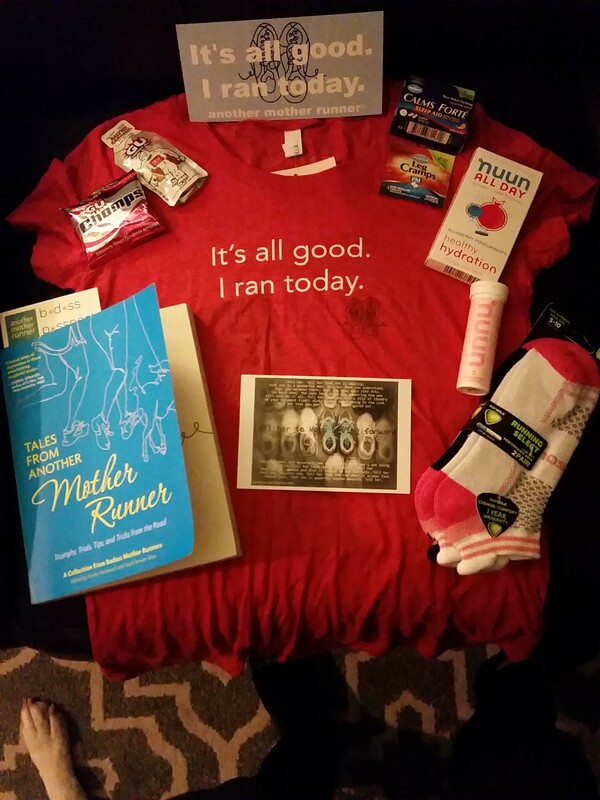 I purchased the awesome Another Mother Runner shirt and book. This items allowed us to feel motivated to get out there and try them out. They fueled our excitement and were the icing on the already delicious cake that our running community has baked. We will continue to always build each other up and support each other’s goals and celebrate each milestone and PR! We will continue to be the Bad A$$ Mother Runners that we are! Thank you SBS and Dimity for this amazing night!